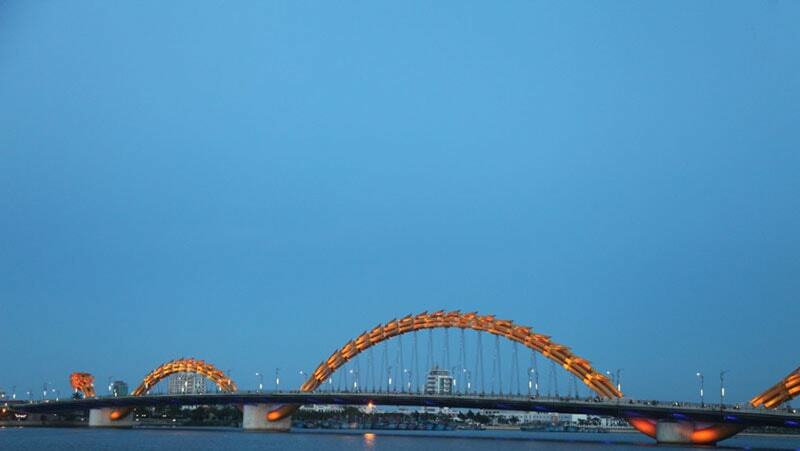 Da Nang city is divided by the Han River and Da Nang is well-known for many beautiful bridges over the Han River connecting the city downtown with the main stunning My Khe beach and resort area. The Han River Bridge was designed so that its massive deck could swing 180 degrees. In the middle of the night, it does just that to allow ships from the busy harbor to move upriver. While it’s more interesting the newer Dragon Bridge will be lit up brightly at night with colorful LED lights and perform fire and water blowing every weekend night. 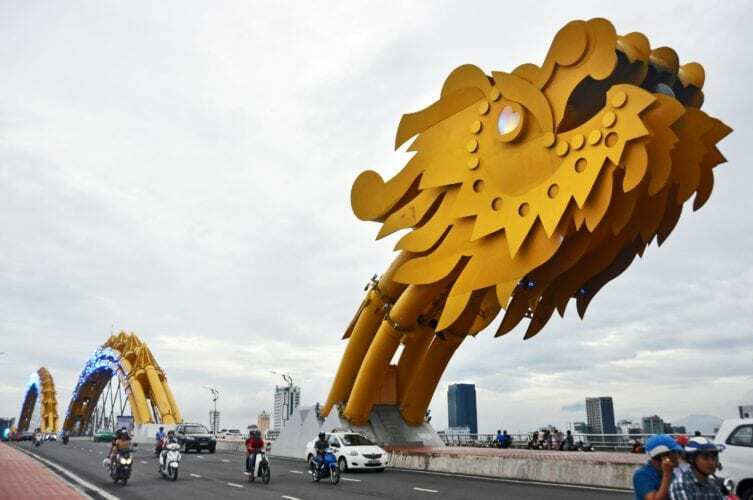 The dragon bridge Da Nang was designed by American architecture firm The Louis Berger Group. Berger’s design also included a wide riverfront plaza that stretches along the banks of the Han river. The aptly-named Dragon Bridge, was designed and built in the shape of a dragon and so it’s able to breathe fire and water as a dragon too. 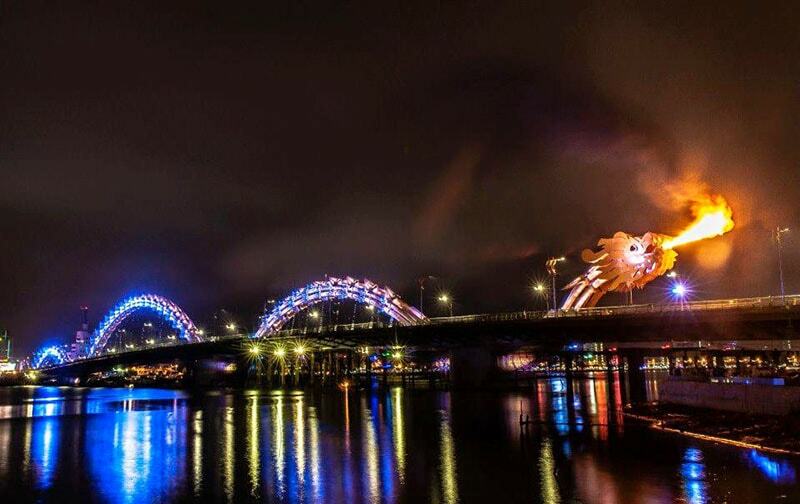 You should not miss this show while in Da Nang on every weekend at about 9 p.m, people gather in the plaza and line the sides of the bridge to watch the dragon’s head spout fire and water while various-colored LED lights-illuminate the dragon’s head and body. The best way to enjoy the show is on boat cruising along Han river at night. You can buy ticket to have a seat on a dragon boat and going along the river or also you could have your dinner on the boat while cruising.